The last selection took place on October 30, 1944. 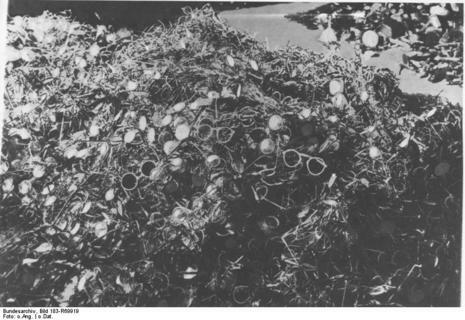 The next month, Heinrich Himmler ordered the crematoria destroyed before the Red Army reached the camp. The gas chambers of Birkenau were blown up by the SS in January 1945 in an attempt to hide the German crimes from the advancing Soviet troops. On January 20, the SS command sent orders to murder all the prisoners remaining in the camp, but in the chaos of the Nazi retreat the order was never carried out. 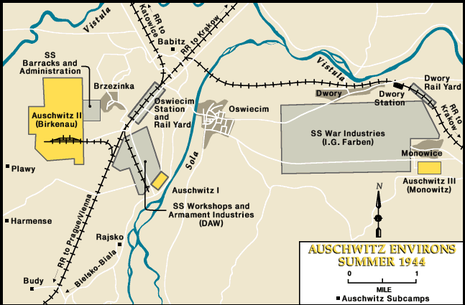 On January 17, 1945 Nazi personnel started to evacuate the facility; nearly 60,000 prisoners, most of those remaining, were forced on a death march to the camp toward Wodzisław Śląski (German: Loslau). Some 20,000 Auschwitz prisoners made it to Bergen-Belsen concentration camp in Germany, where they were liberated by the British in April 1945. Those too weak or sick to walk were left behind; about 7,500 prisoners were liberated by the 322nd Rifle Division of the Red Army on January 27, 1945. Among the artifacts of automated murder found by the Russians were 348,820 men's suits and 836,255 women's garments. 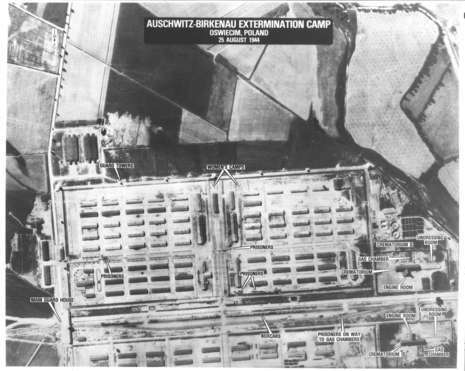 In late January 1945, SS and police officials forced 4,000 prisoners to evacuate Blechhammer, a subcamp of Auschwitz-Monowitz, on foot. The SS murdered about 800 prisoners during the march to the Gross-Rosen concentration camp. SS officials also killed as many as 200 prisoners left behind in Blechhammer as a result of illness or successful attempts to hide. After a brief delay, the SS transported around 3,000 Blechhammer prisoners from Gross-Rosen to Buchenwald concentration camp in Germany. On January 27, 1945, the Soviet army entered Auschwitz, Birkenau, and Monowitz and liberated around 7,000 prisoners, most of whom were ill and dying. 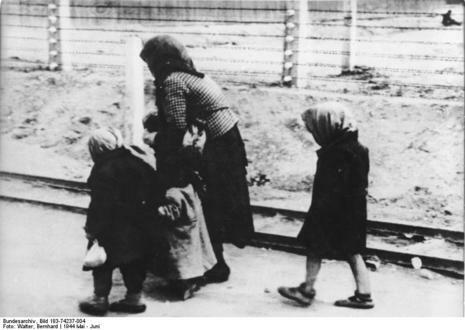 It is estimated that the SS and police deported at a minimum 1.3 million people to Auschwitz complex between 1940 and 1945. Of these, the camp authorities murdered 1.1 million.